Military Vehicle Photos - LARC-XV - Showing the loading ramp. LARC-XV - Showing the loading ramp. 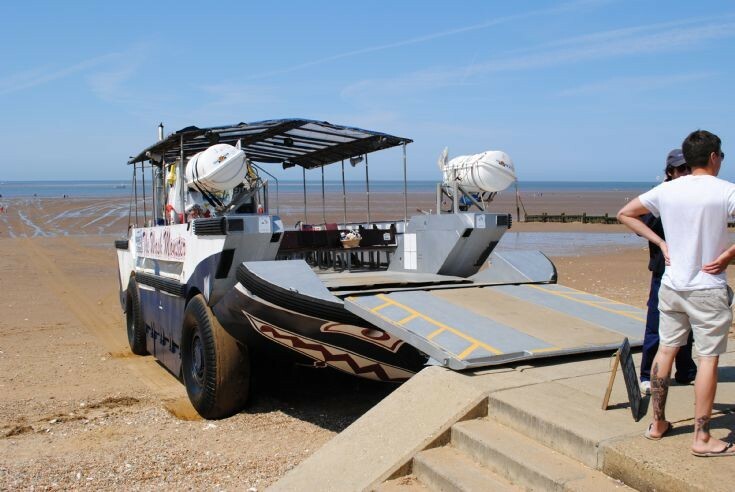 This image shows the loading ramp deployed and was taken on the beach at Hunstanton, Norfolk, England in July 2013. The vehicle is ex US Army and was used in the Vietnam war, the acronym LARC means Lighter, Amphibious, Resupply, Cargo. The XV is the 15 ton version. I would like to contact someone who has actually operated the LARC XV as I am considering buying one. Added by Paul Nealon on 16 December 2018.